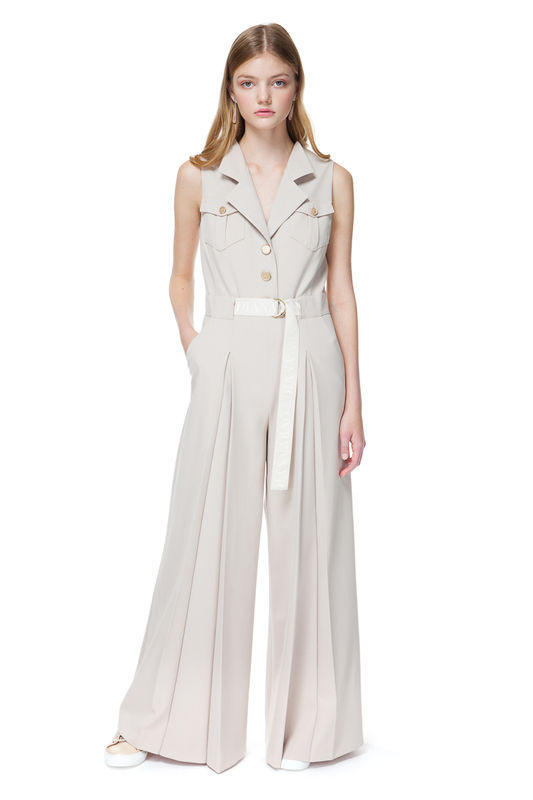 Wide-leg jumpsuit with a D-ring logo belt. 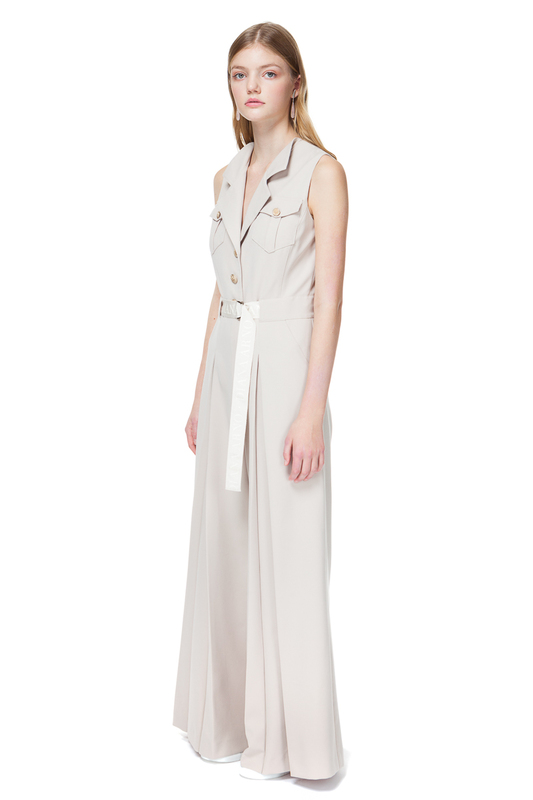 Tailored from buttercream-coloured crepe and designed with a single-breasted bodice, this overall reminds of a suit with a sleeveless blazer. 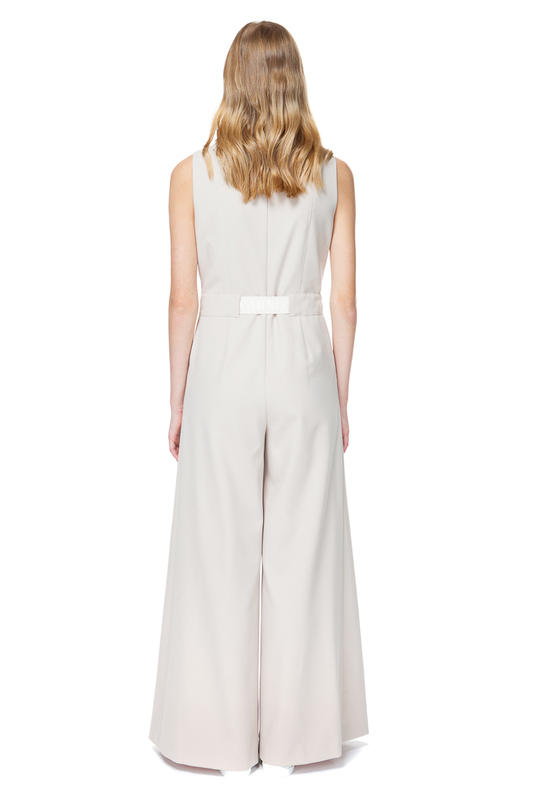 Wide-fit trousers with front folds balance more fitted top.